The Trump administration has ranged from hysterical to frantic to horrified about undocumented immigrants. The Trumpian belief is that virtually all immigration from the south is dangerous; the border with Mexico should be made impenetrable with a steel wall; and that anyone managing to sneak across immediately should be treated harshly, without benefit of any legal process. The danger from these brown-skinned or Muslim people is said to be so great that severe, even cruel and unconstitutional steps to prohibit entry, should be implemented. Are different in that they do not follow U.S. mores. Do current solutions work? Are these dangers real? What should be done? We Americans have some experience with broad-scale prohibitions. During the 1920s and early 1930s, alcohol was a drug that was said to cause criminality, interfere with work, require social spending to treat, and is against our national mores. So we banned alcohol and spent many millions of dollars to enforce that law. That didn’t work. It just caused even more criminality, and increased our jail population. Later, we banned smoking by people under the age of 18-21 (depending on state). We spent many millions to facilitate the ban. That didn’t work. Smoking by teens became common, and though few teens are legally punished for smoking, retailers have been punished for selling cigarettes to under-age people. In addition to alcohol, we have banned the use of myriad other drugs, ranging from marijuana, through heroin, and even to more potent, mind-altering, man-made drugs. We spend billions to enforce our ban. That hasn’t worked. Instead, it too created criminals and served primarily to increase our jail population. Car drivers are banned from speeding, a typical American amusement. We spend millions to enforce the ban. That hasn’t worked, though it has added to our court load and increased our jail population. There is a pattern to all this: When we pass a law against something that a large number of people wish to do, the main effect will be to spend millions on enforcement and to create a large number of criminals. And so it is with immigrants. When forced to choose between a miserable future for themselves and their children, versus a better life with the risk of jail or deportation, many people will choose the latter. So we spend millions on border protection, laws, courts, jails, and deportations. And still the immigrants come. Perhaps a bit of original thinking is in order. What if . . . just what if . . . we opened our borders? Now before you immediately assume disaster, let’s look at reality. The vast majority of people who want to enter, are the same kinds of people as the millions of immigrants for the past thousands of years: Good people just trying to make a better life. And, in their efforts to make a better life, they also made America a better place for all of us. Immigration is exactly what has created America. Since 1492, and even earlier, with Columbus and before, millions of people have come through our relatively open borders. Some have been criminals; most were not. Some dealt drugs and other forms of “snake oil.” Most did not. Rather than taking jobs and social benefits from those who preceded them, they created jobs by being consumers, builders, taxpayers, and dreamers. They were farmers, blacksmiths, poets, musicians. They became the American melting pot. Here we relish our differences — the hyperactives of the East, the slow, hospitable Southerners, the bible-belt mentality blending with the Midwest friendliness, the self-sufficient cowboys, the California trend starters, the rock-ribbed traditionalists of the Northeast. The first immigrants came to North America from what currently is called Russia, between 10,000 and 30,000 years ago. The first colony from Europe was begun in Jamestown (now Virginia), in 1607. The legal entity known as the United States of America began in 1776. And still the people came, unrestricted for thousands of years. Between 1820 and 1880, political and economic conditions brought over 2.8 million Irish immigrants to the United States. It is important to note that extensive federal legislation dealing with immigration was not enacted for some time. At first it was unclear whether the federal government was given the authority by the Constitution to regulate immigration. Also, unrestricted immigration was desirable as a means for obtaining labor and achieving growth as a nation. Discontent with an open immigration policy increased with the tremendous rate of immigration and with the change in the composition of immigrants. German Catholic immigrants came during the 1840s. American society did not accept the Irish Catholics and Germans, and movements to limit immigration began to form. Note the similarity to not accepting Muslims and Mexican Catholics. After the Civil War, federal law began to reflect the growing desire to restrict immigration of certain groups. In 1875, Congress passed the first restrictive statute for immigration, barring convicts and prostitutes from admission. The 1875 Act also attempted to deal with the problem of Chinese labor in the West. Imported Chinese labor had been used since 1850, and the tension between the Chinese workers and the settlers of European descent ran high. The Chinese, like today’s South Americans, were thought to be taking jobs from “real” American citizens. It wasn’t true, of course. Their labor actually created jobs. Congress adopted a law outlawing so-called “coolie- labor” contracts and immigration for lewd and immoral purposes. In 1882, Congress took even stronger action in the Chinese Exclusion Act, the nation’s first racist, restrictive immigration law. America had an open-borders policy until 1875, and even then the policy remained quite limited and scarcely enforced. And all the while, we grew and became the magnificent nation we are, today. Mounted watchmen of the U.S. Immigration Service patrolled the border in an effort to prevent illegal crossings as early as 1904, but their efforts were irregular and undertaken only when resources permitted. The inspectors, usually called Mounted Guards, operated out of El Paso, Texas. Though they never totaled more than seventy-five, they patrolled as far west as California trying to restrict the flow of illegal Chinese immigration. Although these inspectors had broader arrest authority, they still largely pursued Chinese immigrants trying to avoid the Chinese exclusion laws. Customs violations and intercepting communications to “the enemy” seemed to be of a greater concern than enforcing immigration regulations in the early years of the twentieth century. After 1917, a higher head tax and literacy requirement imposed for entry prompted more people to try to enter illegally. By creating laws against immigration, we created lawbreakers. It is ever thus. The Eighteenth Amendment to the United States Constitution, prohibiting the importation, transport, manufacture or sale of alcoholic beverages went into effect at midnight on January 16, 1920. 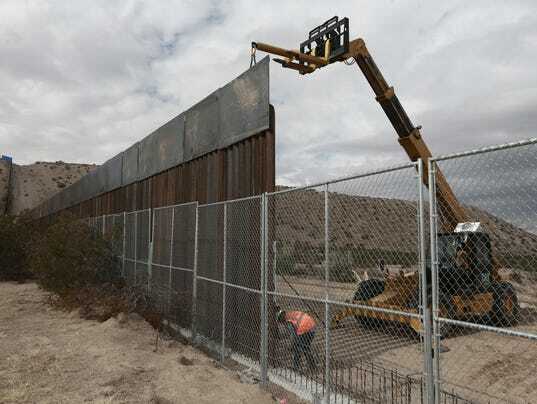 With the passage of this constitutional amendment and the numerical limits placed on immigration to the United States by the Immigration Acts of 1921 and 1924, border enforcement received renewed attention from the government. The numerical limitations resulted in people from around the world to try illegal entry if attempts to enter legally failed. Until only about 100 years ago, America had largely open borders, and with that loose immigration, we grew and prospered. The act of passing a criminal law creates new criminals, non-productive people who must be dealt with by non-productive segments of our society: The police, the courts, the lawyers, and the jails. All this is a drain upon society. Now, having not learned from history, we devote ever more of our national assets to keeping out the very same kinds of people who built America. Are proportionately less likely to commit crimes than are native born citizens. Are not an important source of drugs, the vast majority of which comes in via legal channels. Do not take jobs from American citizens but rather create jobs. Either know English or learn it, and their children learn it, in any event, are not a burden on the country. Want their children to be educated and productive members of society. In our misguided attempts to keep out the few worst, and those different from “us,” we bar the many thousands of the best. To purify to absolute whiteness, we exclude the multitude of colors that together make us beautiful. Yes, we should continue to bar those who are criminals or other state enemies. But our immigration policies, far from “making America great, again,” instead throw out the baby with the bathwater. The iron curtain we’ve erected on our southern border does not protect us. It simply makes us cowards and deprives us of what has built America. We must make the path to citizenship faster and easier. Bring in those valuable families and help them to contribute to our success. Rather than assuming all immigrants are criminal, open the doors to those wonderful minds and hands, and simply prosecute the small minority of those who become criminal when here. That is the approach that always has worked in the past. It has made America great. It will make America great, again. Good article overall as usual, Rodger. I would say that I think things are a bit more nuanced than that, given the increasingly pressing issue of overpopulation these days, but you are generally on the right track overall. The current system is woefully broken and needs to be overhauled, yesterday. I have thought we about and agonized over this issue for years if not decades now, and here is what I currently think. There definitely needs to be amnesty for those who are already here, especially (but certainly not limited to) the DREAMers, without being unfair to the massive backlog of people still waiting on line to get in (i.e. we need to speed that up as well). The process for new entrants needs to be streamlined as well, with our positively Byzantine restrictions removed and without keeping so many in limbo for so long, and the pathway to citizenship should also be made easier, but after that I really do think that we should cap the overall immigration quota at equal to the previous year’s emigration rate (typically 200,000 people per year) in any years going forward. And for noncitizens to receive the Economic Bonus, UBI, or any other cash benefits, the waiting period should be one year after receiving one’s green card (or immediately upon naturalization as a US citizen, whichever is sooner), instead of the current five years for most kinds of social welfare benefits. That would provide the right balance between 1) still discouraging too many people from theoretically coming here just for the free money, and 2) not being unnecessarily cruel to anyone in the process. Just my $0.02, for what it’s worth. The U.S. does not have an “overpopulation issue.” Wealthy nations do not have “population issues,” so the real issue is poverty, not population. The prevention of a “population issue” lies not with restricted birth rates (wealthy people do that themselves) or immigration, but with programs like the 10 Steps and other wealth-building and Gap-narrowing efforts. Indeed, poverty is, of course, the very easiest issue of all for wealthy, Monetarily Sovereign nations to solve, since there can never be a shortage of money unless our “leaders” deliberately choose to cause one (as they are so fond of doing, apparently). That said, wealthy nations can still have population issues from a purely ecological perspective nonetheless. Only a fool or an economist (same difference) would believe that infinite growth on a finite world is possible. As Edward Abbey famously said, “growth for the sake of growth is the ideology of the cancer cell”, which eventually kills its host, by the way. Fortunately, reducing (or abolishing) poverty via the Ten Steps will indeed bring down birthrates while also simultaneously keeping them from falling too low (like Japan) as well. The same goes, a fortiori, for female empowerment in general. In fact, studies show that those two factors alone (female empowerment and poverty reduction) are the two most effective ways to reduce excessive birthrates, at least when reliable birth control is also readily available as well. No coercion is necessary. As for a large, sustained influx of net immigration (i.e. much more immigration than emigration per year), it can eventually become too much of a good thing in the long run, particularly for overconsuming countries such as the USA. At some point, the numbers do need to slow down to be sustainable. Fortunately, and long before Hair Twittler took over, recently the numbers have slowed down compared with a decade ago, according to the best available statistics. EveryTHING taken to extreme can “prove” the THING is a danger. Don’t eat, because you can eat yourself to death. Don’t sleep because too much sleep can kill you. And “eventually” (my favorite word) one day the earth will fall into the sun. That, by the way, also is the “ticking time bomb,” 78-year argument of the debt Henny Pennys. Yes, infinity can be a bad thing, which proves absolutely nothing. The difference is, of course, that the so-called “National Debt” is a manmade accounting fiction that should really be more accurately called the “National Savings Account”. For it to be “too high”, that would literally mean that America is *too rich*, which is essentially a non-problem, lol. Overpopulation, on the other hand, is grounded in the scientifically valid and measurable Ecological Footprint analysis. We are already in ecological overshoot and have been so for quite some time now. If everyone in the world lived like Americans currently do, we would literally need more than SIX EARTHS worth of resources. So we really need to see the forest for the trees. Not all problems are as easy to solve as poverty or debt. Hence the nuance to the immigration debate. Great points overall. I noticed you brought up the parallels with alcohol Prohibition, the War on (people who use a few particular) Drugs, and tobacco smoking age limits, and those analogies make sense. I would also add the ultimate ageist abomination to the list as well: the 21 drinking age. Contrary to popular opinion, raising the drinking age to 21–a full three years higher than the age of majority in nearly every state–did NOT actually save lives on balance. All it did was force drinking underground and make it far more dangerous in practice. Just Google “Miron and Tetelbaum” and one can see that any supposed lifesaving effect was really just a mirage all along. And several other countries, including our neighbor to the north, saw a similar or faster drop in youth alcohol-related traffic deaths since 1982 despite NOT raising the drinking age to 21. So what actually works to reduce alcohol-related casualties both on and off the highways? Number one is raising alcohol taxes, according to the overwhelming weight of evidence. Research also shows that cracking down on DUI also does a great job when the laws are strong and enforcement is consistent. And education, broadly defined, has also done a great job at reducing such problems, though we still have a long way to go of course. Setting a drinking age, whether 18, 21, or 101 has no real benefit. Prohibition proved it doesn’t work for any given age. Indeed, age limits of any kind for alcohol (or any other substance for that matter) don’t really have the best track record in terms of effectiveness (effectiveness of what endpoints, exactly, we might ask the proponents of such age limits). Some proponents often quixotically believe that these laws actually work to reduce harm if only we would enforce them better and close “loopholes” to give them more “teeth” (the Fourth Amendment be damned), while other proponents take a more Hobbesian approach and consider these laws to be analogous to a palliative treatment for an incurable disease, and necessary to prevent an unacceptable level of chaos. While opponents reject both claims as silly at best, of course. That said, I think we can all agree here that 18 is on balance at least somewhat more realistic, easier to enforce, and less unjust than 21. Getting back to the issue of cigarettes, the only age limit laws that have actually shown even modest effectiveness in reducing teen smoking are sale/purchase age limits strictly enforced against vendors, particularly when they are enforced via compliance checks and penalties are administrative rather than criminal. The town of Woodridge, IL, was quite the pioneer in that regard. And they never raised it any higher than 18, nor have they involved the criminal justice system at all in its enforcement on either end. Otherwise, such age limits can backfire by creating “forbidden fruit” and “reactance theory”. And truly the most effective to reduce smoking among all ages (but particularly among young people) is raising the tax on cigarettes or otherwise raising their price–kinda like with alcohol as well. Too high, of course, can eventually backfire by creating a massive black market (as in NYC, notoriously), but most states still have plenty of room to raise taxes without ending up on the wrong side of the cigarette version of the Laffer Curve. In fact, the low-tax states raising their rates would bring them closer to parity with the higher-tax states, reducing or eliminate the primary incentive for smuggling. Another gold-seller going on about debt. Want to take another swing at the big lie? Gold is a substance that has minimal utility, and a constantly growing supply. It doesn’t pay dividends. It costs money to store. It costs money to ship. It costs money to insure. Its pricing is volatile. And oh yes, the biggest producer is China. Sounds like a perfect investment. Excellent post. It is both sad and amusing that Trump supporters can say in the same breath that illegal immigrants are drug dealers, rapists, and coming to take their jobs; which prompts the question: what kind of work do you actually do?